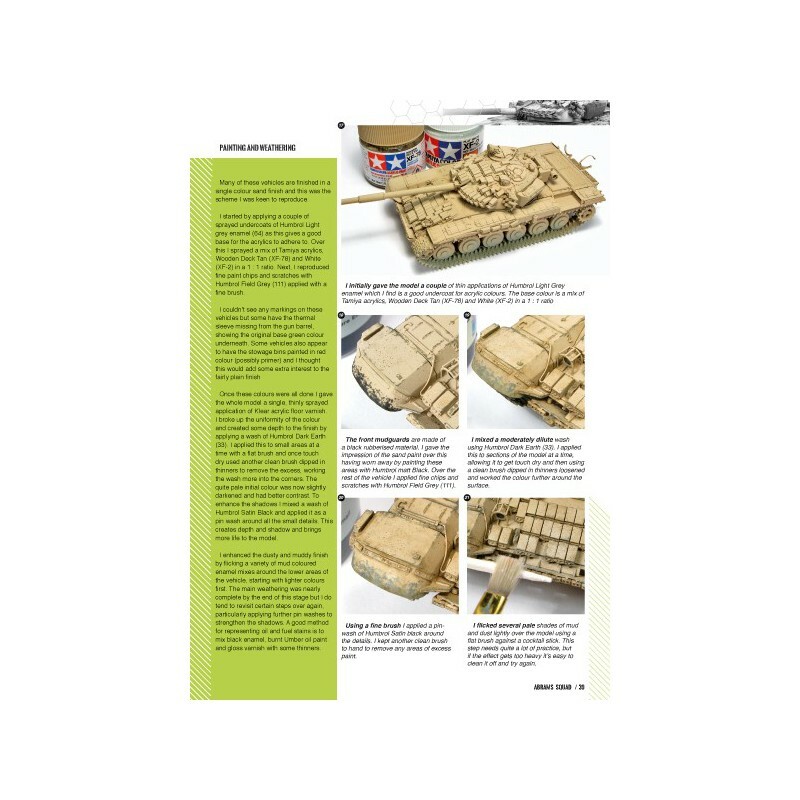 6 – Pixeled Tanks: We know that you like modern tanks even if they are in the screen. Here we review war video-games for you! 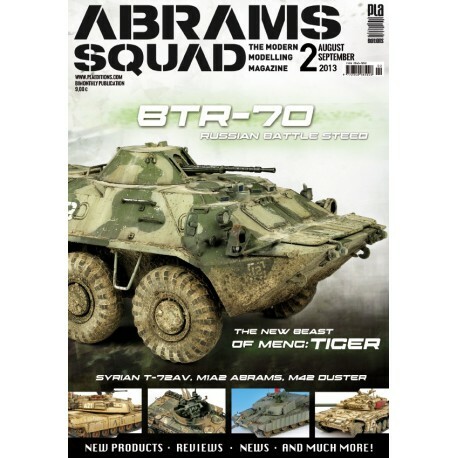 8 – Remote Thermal Sight: In this second issue, we take care of the review in depth of the new Gaz Tigre from Meng and will compare it with real pictures. 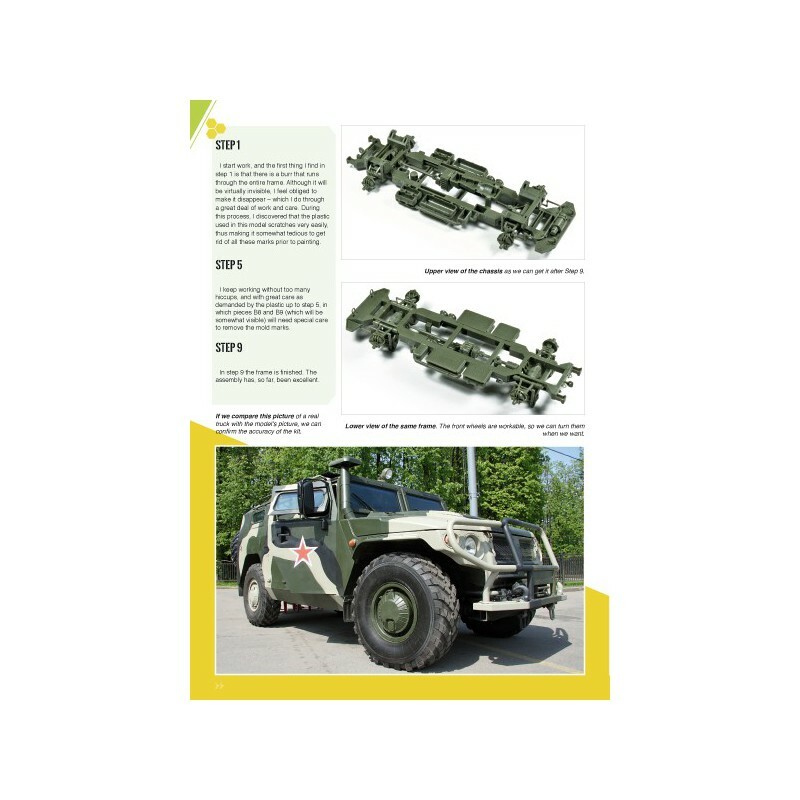 14 – BTR-70 – Russian Battle Steed - Wu Bayin surprise us with the wonderful eight wheeled Russian AFV. Pay particular attention to the mud effects! 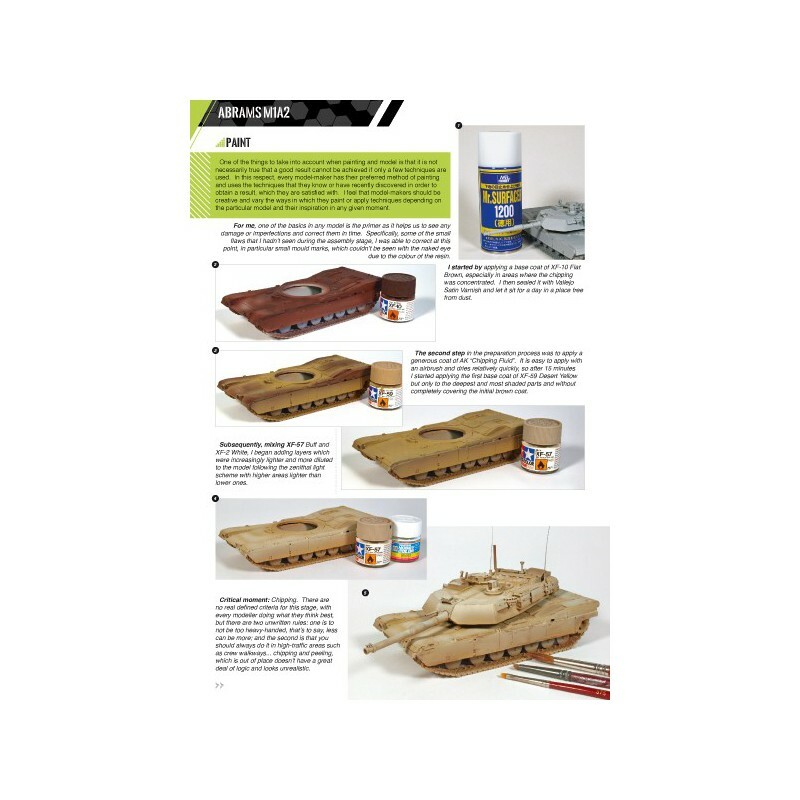 26 – M1A2 Abrams - Any good magazine must have one Abrams in his collection, and Domingo Hernández shows us his M1A2 in 1/48. 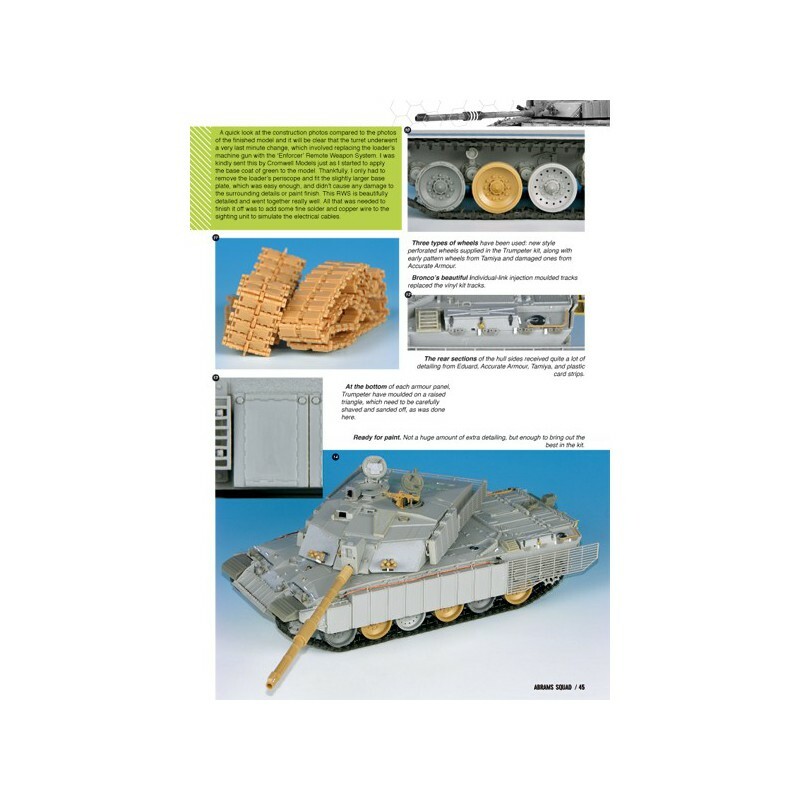 34 - T-72AV Sirio -The master in Braille scale, Alex Clark, brings us a model that lately is always on the box. 42 – Challenger 2 with Bar Armour - Last version of British Challenger is perfectly represented by the also British John Murphy. 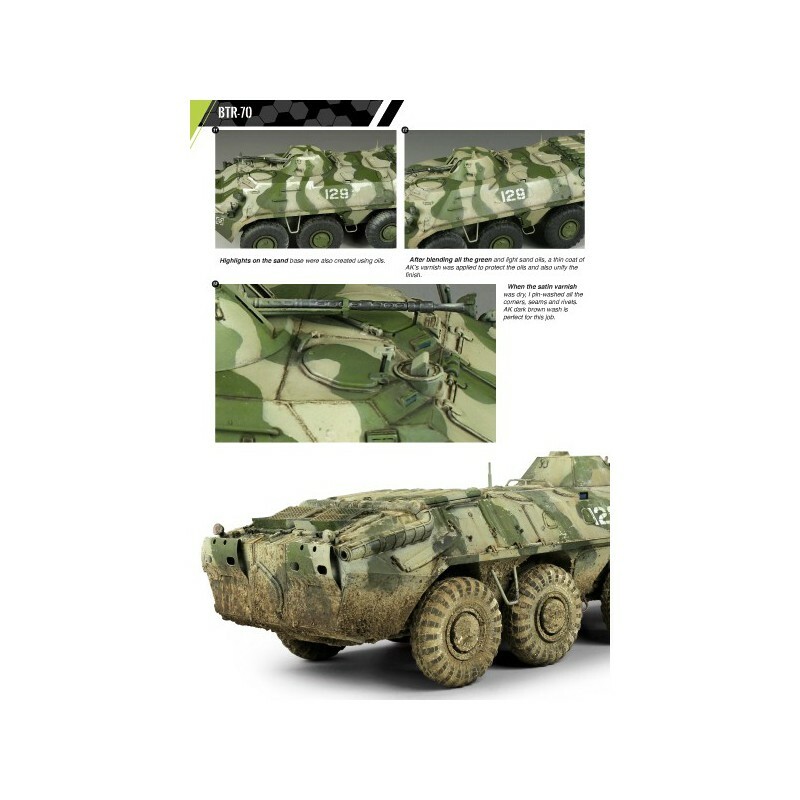 52 - M42 Duster – The Veteran - The editor takes a mythical Vietnam’s vehicle, but painted in the Cold War MERDC camouflage. 62 - The International Aussie - Article about the recent missions were the Australian Army have been involved. 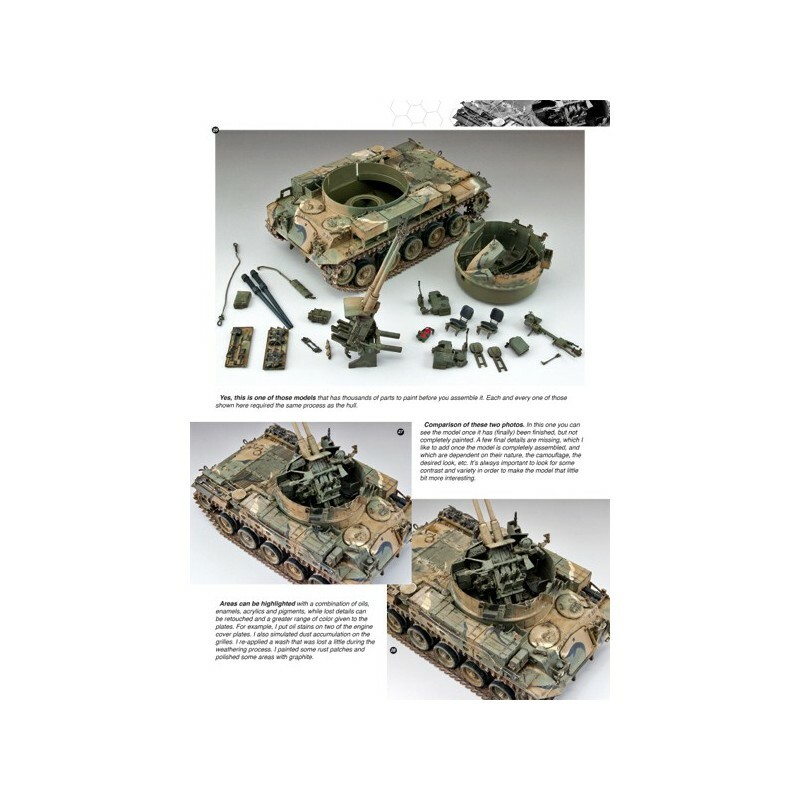 Inspirational pictures and recommended model kits. 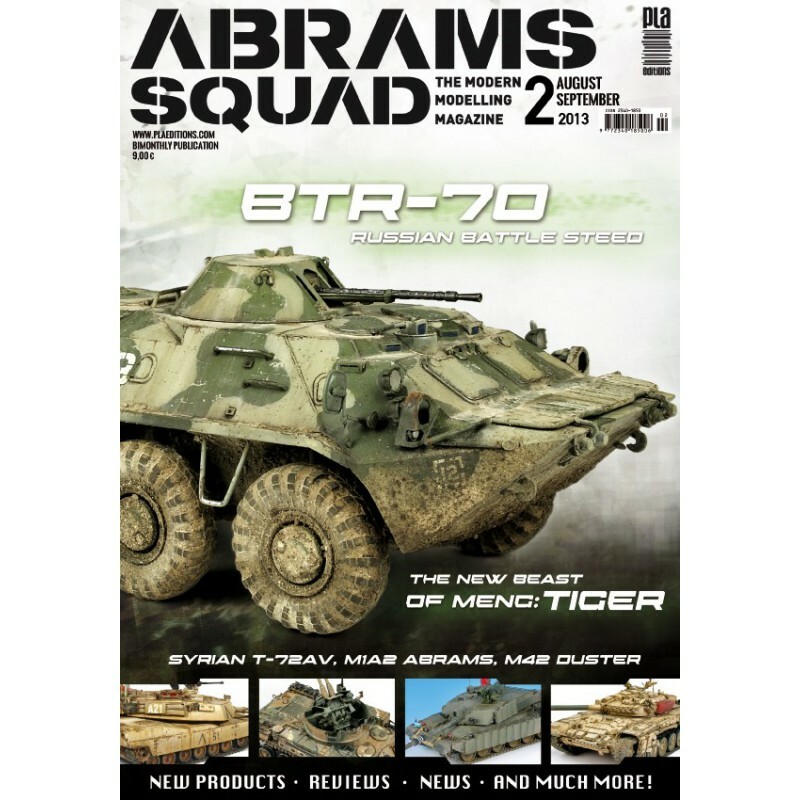 68 – Turret Basket: at the end of every issue you’ll find the kits that we’ll find in the market soon and some teasers of the next Abrams Squad Magazine.